The Department of Road Safety will conduct Easter holiday campaigns from March 22nd to April 05th, as part of efforts to curb the escalating road accidents. Road Safety Chief Information Officer Mrs. Ntumeleng Nts’ekhe Moloinyane said there would be no launch of the campaigns like in the past years, saying that they are going to work in three regions of the country being Central, South and North. She said that the aim of the campaigns is to ensure road safety during the Easter holidays and prevent road accidents. 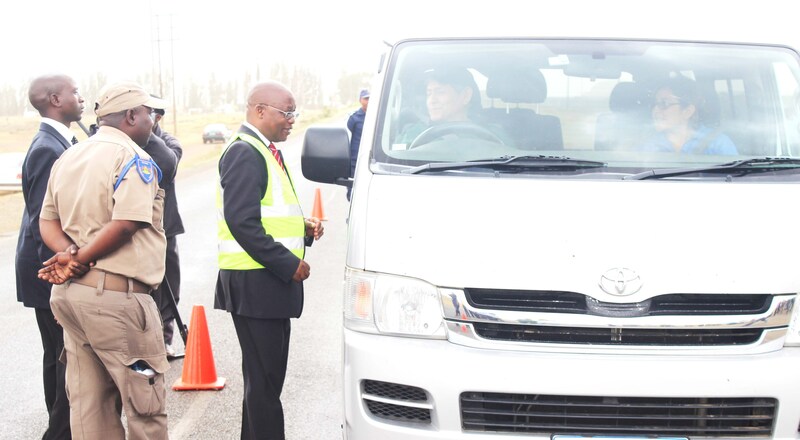 The department of Road Safety together with stakeholders in road safety will reportedly show up on various areas where check points will be based. About 300 people in Lesotho reportedly die each year due to road accidents. The Prime Minister Motsoahae Thabane yesterday left the country for Angola and Rwanda. Lesotho Blood Transfusion Service Manager, Mrs. Maleqhoa Nyopa has strongly urged Basotho to donate blood in preparation for the Easter Holidays. Associate Professor of Political Science at the National University of Lesotho Professor Motlamelle Kapa says South African officers working at Maseru border post have to be investigated if another humiliation to King Letsie III is to be avoided. The minister of health Hon Nkaku Kabi says the eradication of polio in three countries namely Lesotho, South Africa and Swaziland is very vital as it enhances the ministry’s commitment towards free polio related deaths and paralysis.